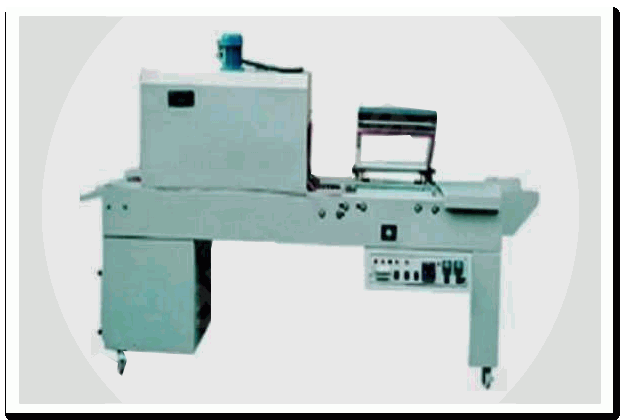 Online L Sealer With Shrink Tunnel Machines Suppliers| Online L Sealer With Shrink Tunnel Machines manufacturers| in Mumbai, India. This advanced Online L-Sealer With Shrink Tunnel Machines is used for creating a package enclosed with in shrink film. It is mainly used for sealing Stationery, Gift Packets, Confectionery Items, Welding Rods, Bottles, Cosmetics & other products. Online L-Sealer With Shrink Tunnel Machines is the number one choice worldwide for exclusive features such as adjustable working platform with heavy duty electronic timer that takes minimum of 2-3 seconds per cycle. We offer a wide array of Online Shrink Tunnel With L- Sealer that are manufactured using same production techniques to ensure high-end performance. The sizes of the shrink sleeves are adjustable on the shrink tunnel platform in accordance with the product size. Moreover, our range of machines has a conveyor belt that help in gearing up the production process. Further, these shrink tunnel is designed at an accurate angle and is made power coated to ensure wear and tear for years together.